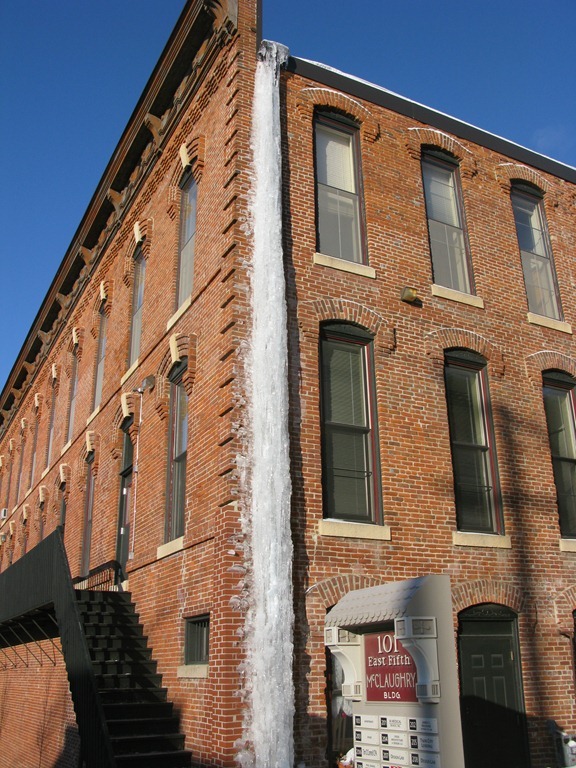 The sunny cold spell has produced some fabulous icicles around town. I think the east side of the McClaughry Building might have the biggest one. 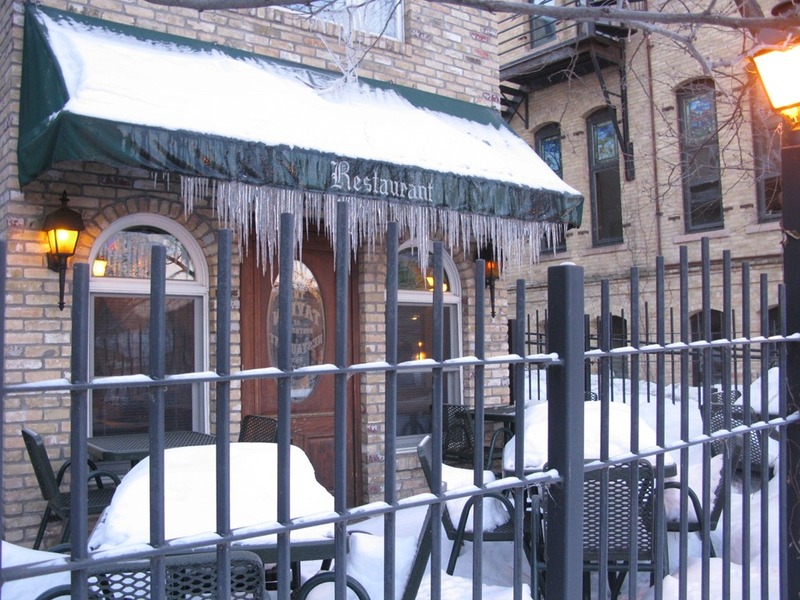 The awning over the Tavern’s outdoor dining area is perfectly dressed in icicles. I’m looking for more icicle photo ops. Alert me if you know of any. Those are some gnarly looking icicles on the first two shots. 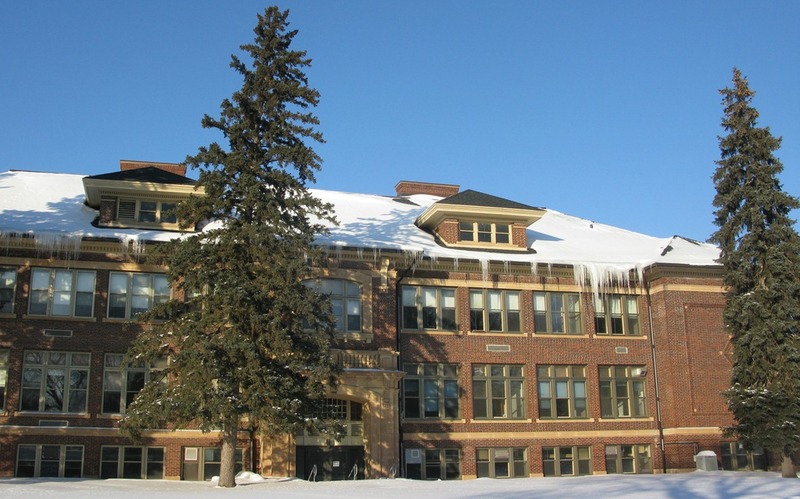 There used to be quite a lot of icicles on the Victorian style houses, with the overhangs, near Carleton. Other than that, all I know is when dh takes our collie,Z out for a walk these days, dh comes back with a pupcicle. 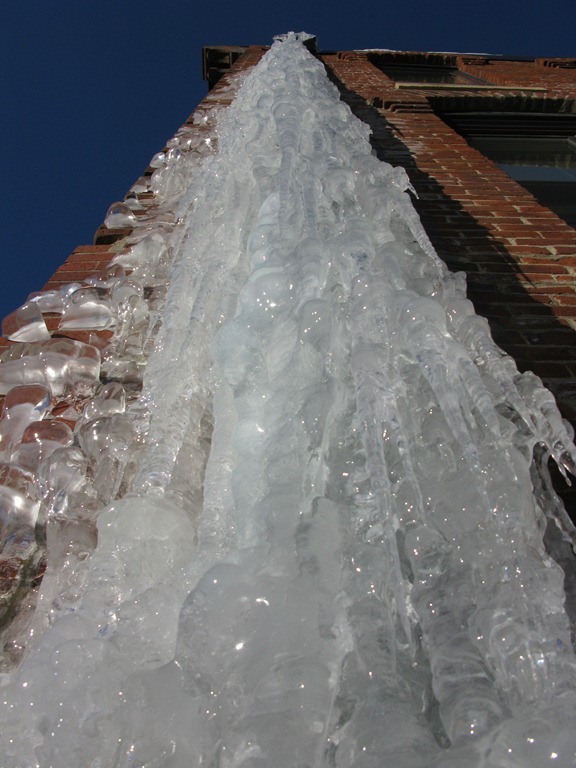 FYI-Icicles should be knocked off roof lines right away, as they can cause problems during the freeze/thaw cycles. There was a pretty good sized one on the Union St. side of the old middle school the other day.